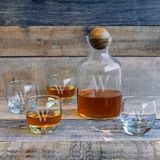 For whiskey drinkers, sitting down with a glass of their favorite spirit isn’t just a way to pass the time; it’s a way of life. 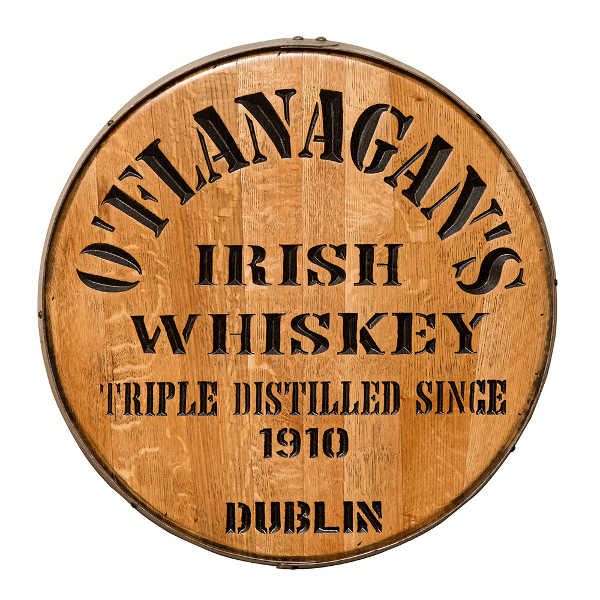 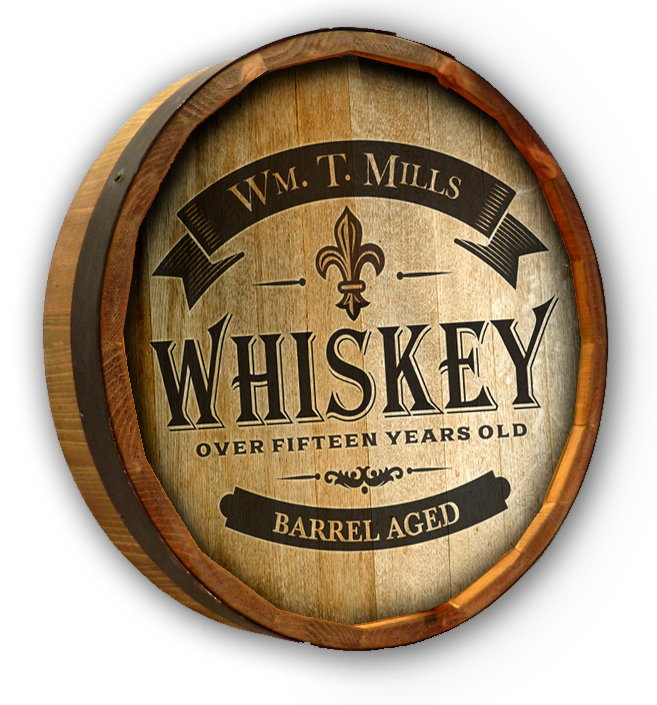 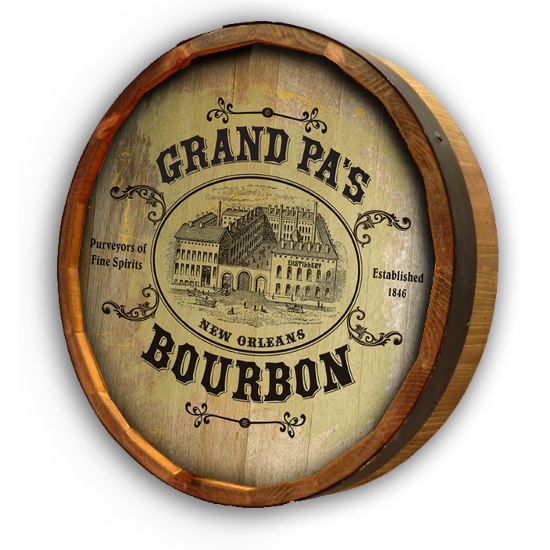 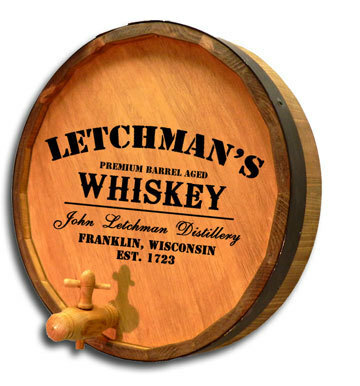 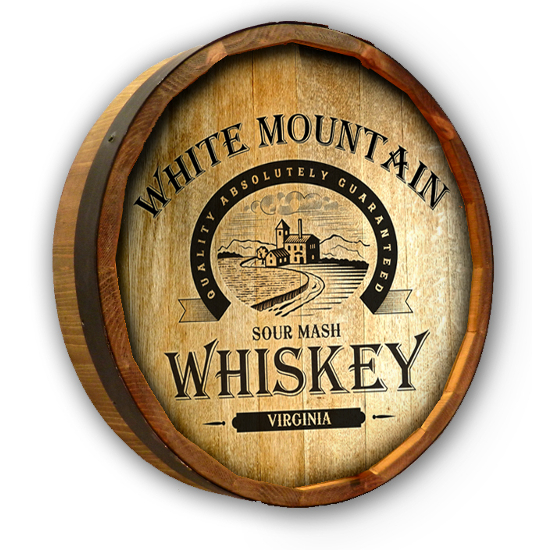 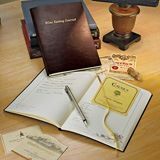 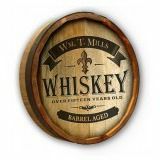 They are exceedingly passionate about everything involving the different varieties of whiskey, including their histories and quirks. 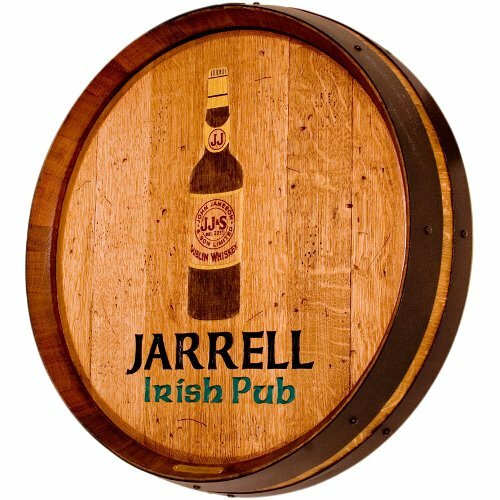 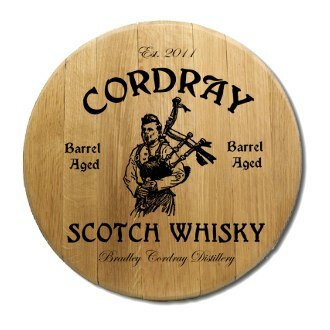 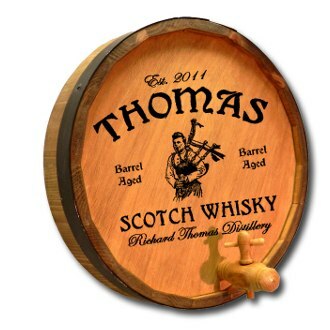 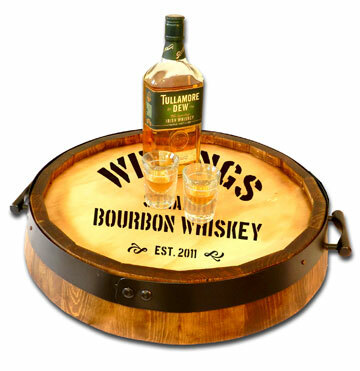 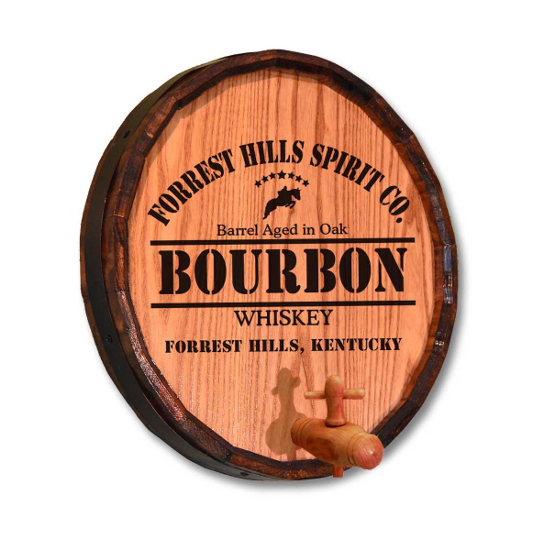 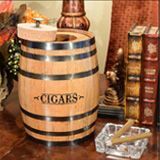 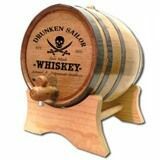 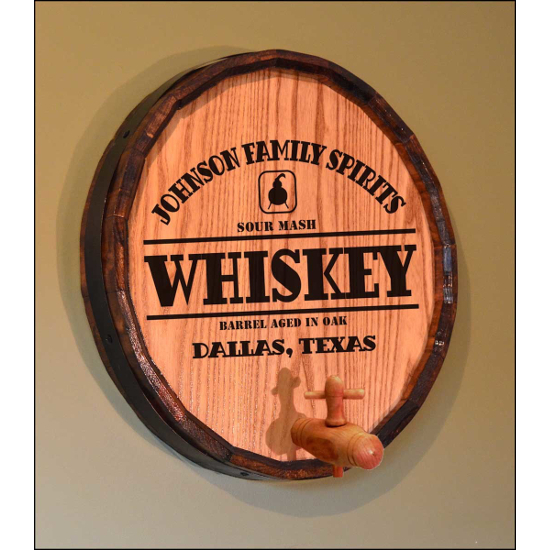 If you’re the type of whiskey connoisseur who treats one of the most celebrated beverages in the world like it’s more than just a drink, then this collection of whiskey-themed home decor or personalized barrel art is exactly what you need to display your pride in the king of spirits. 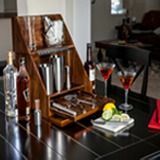 Home bars are very personal spaces. 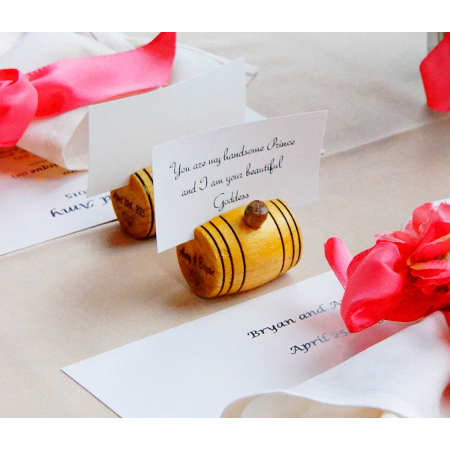 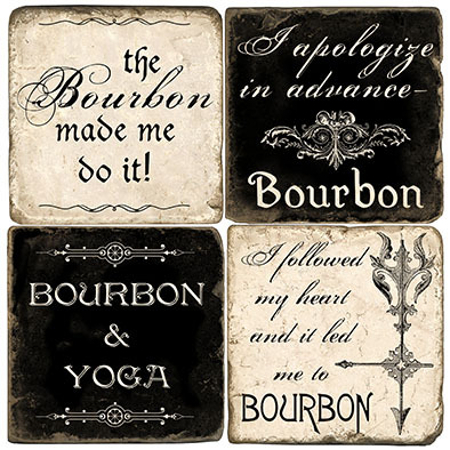 We want them to stand as a reflection of our passions and personalities and make our guests feel welcome as well. 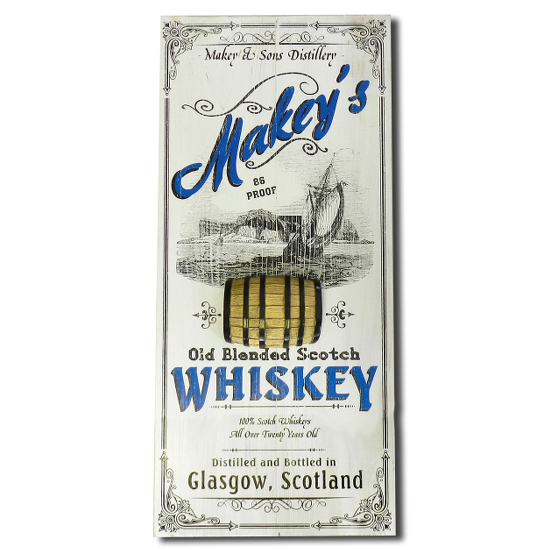 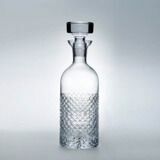 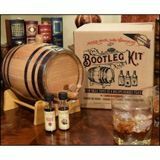 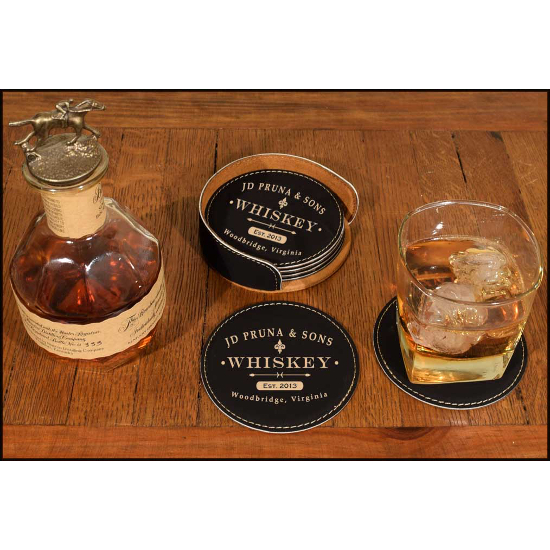 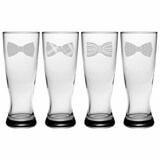 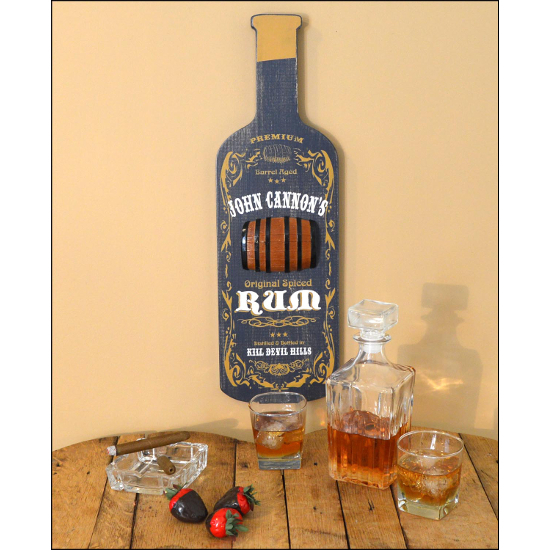 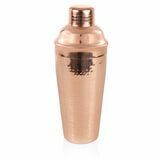 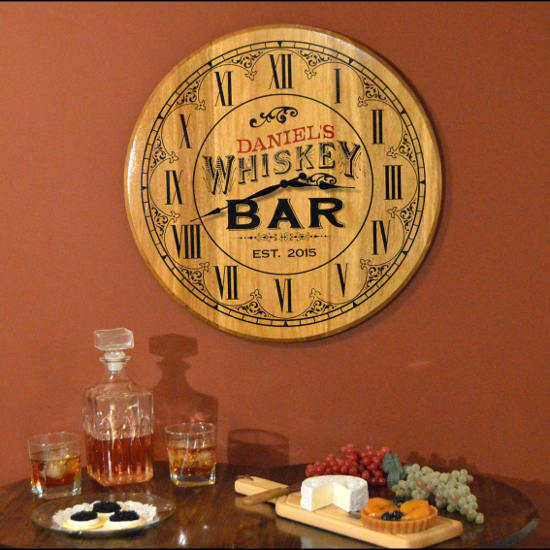 With these incredible customizable whiskey decorations, youâ€™ll be able to create the home bar youâ€™ve always wanted. 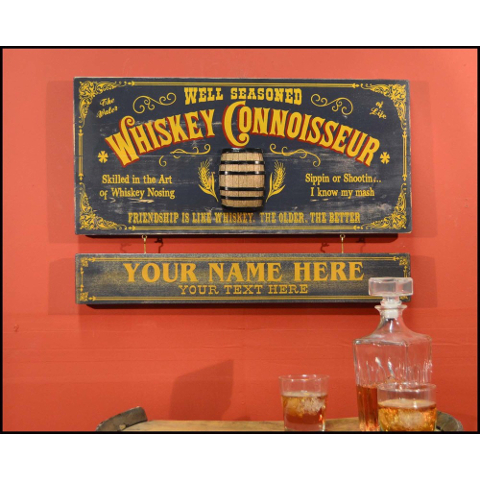 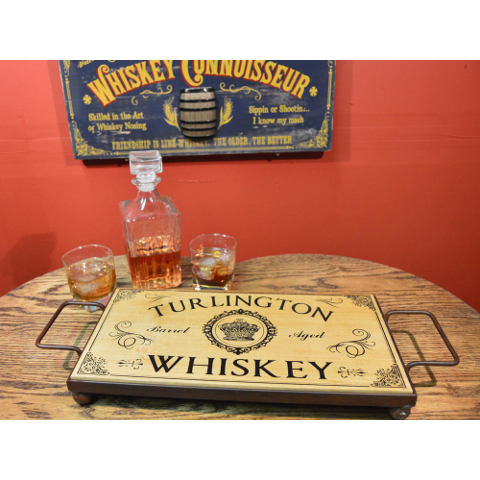 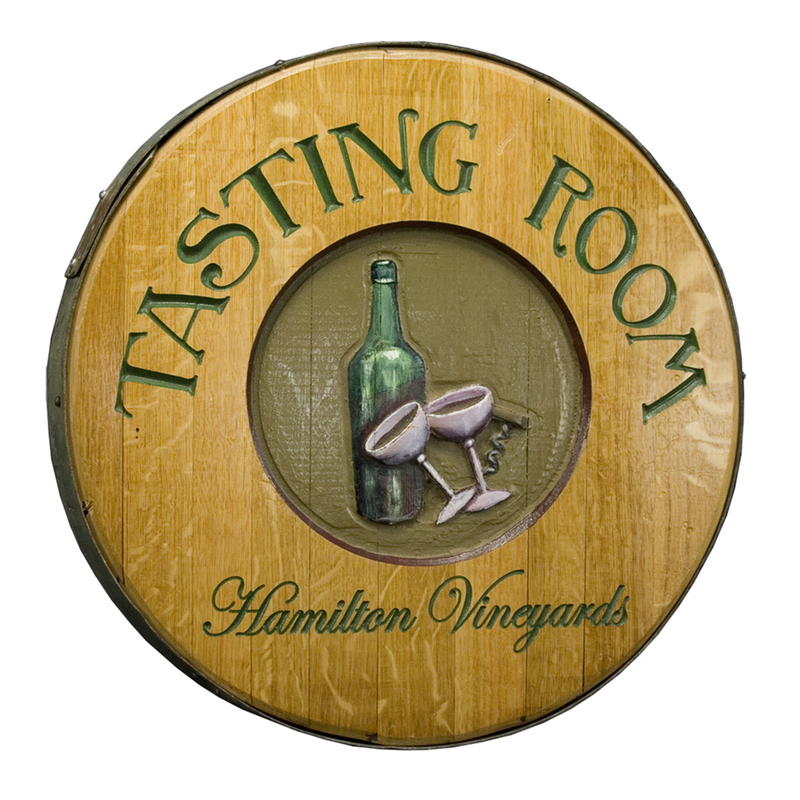 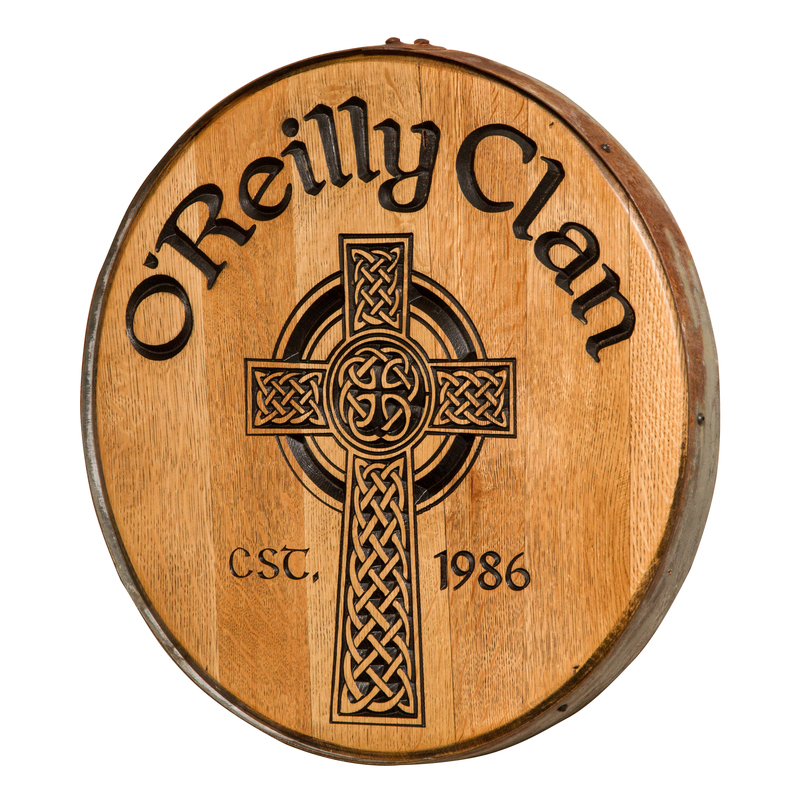 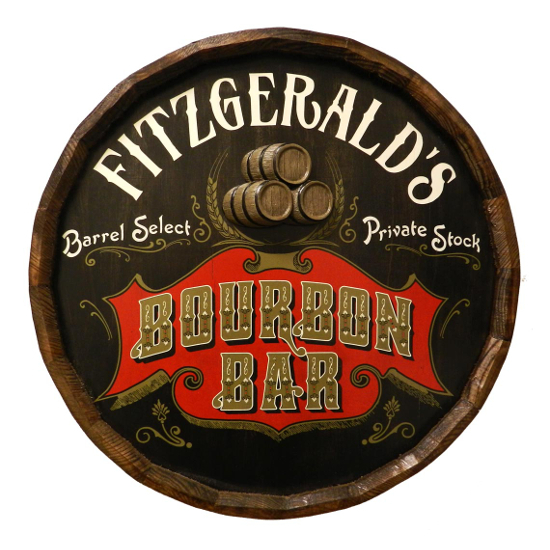 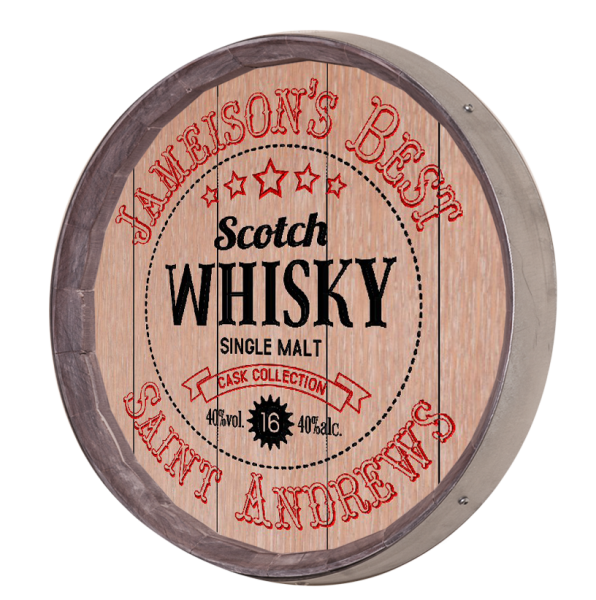 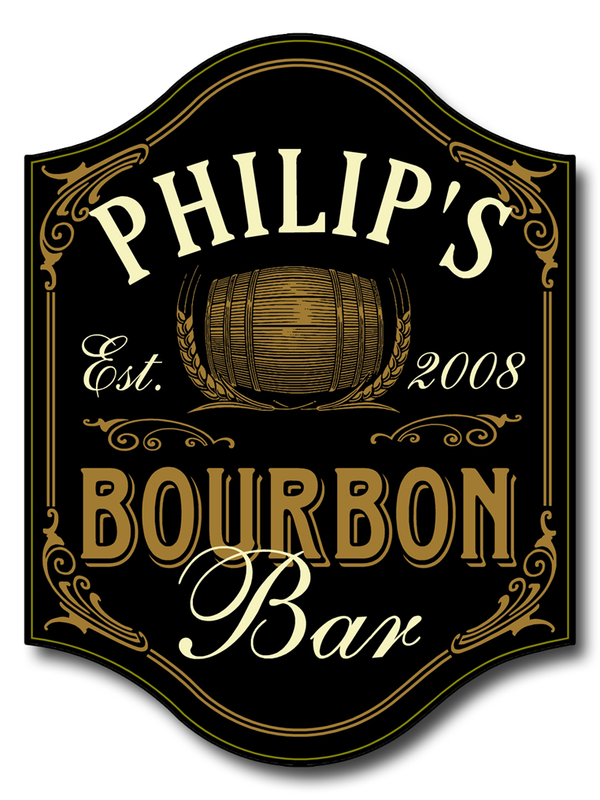 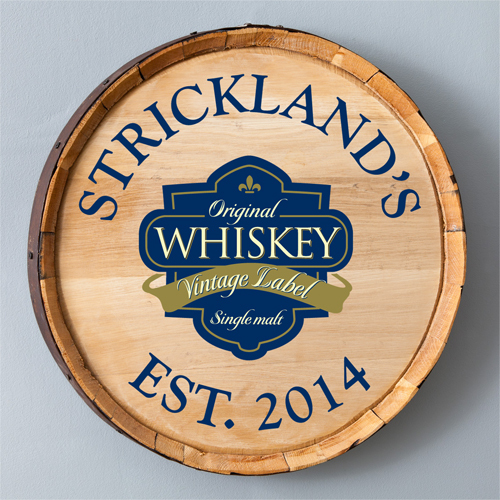 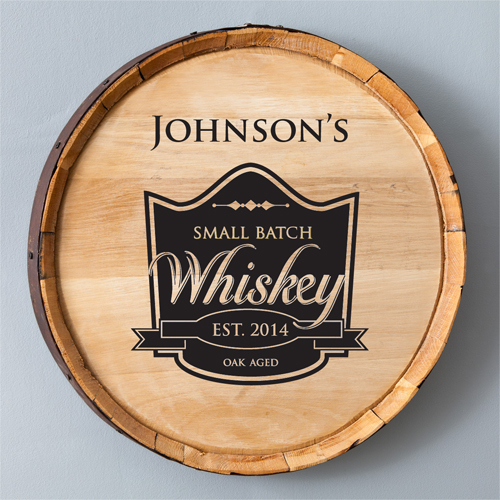 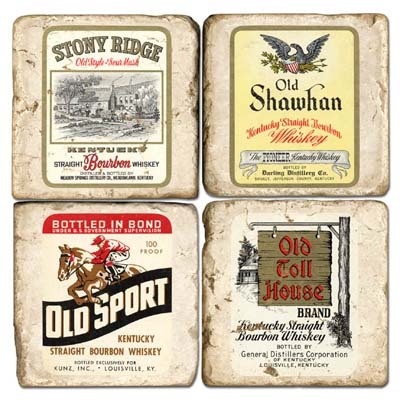 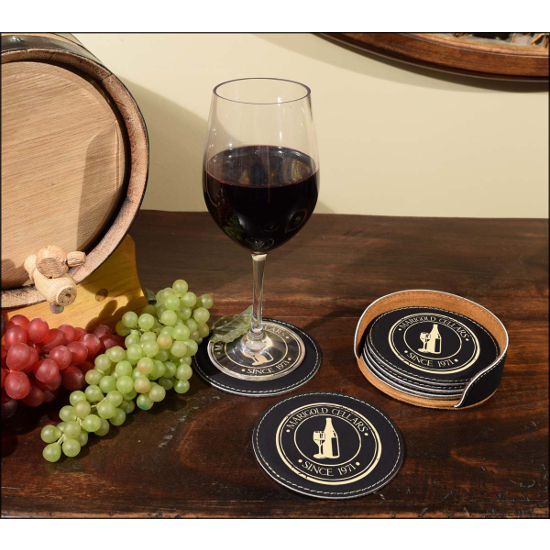 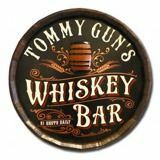 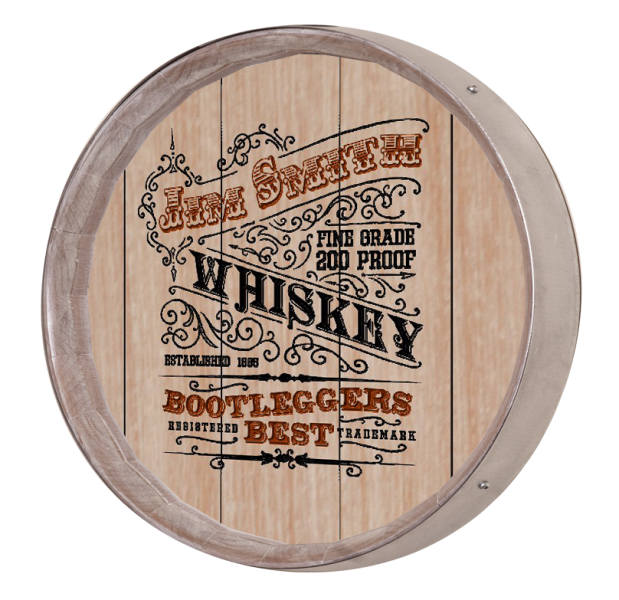 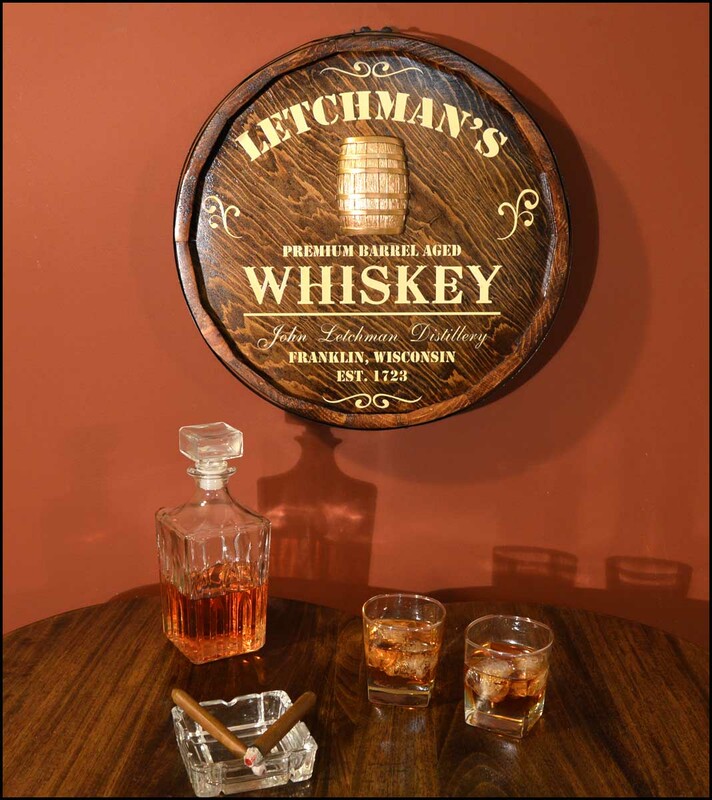 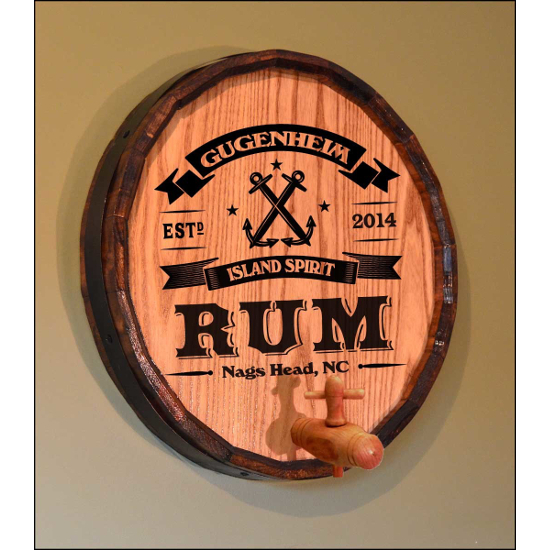 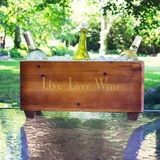 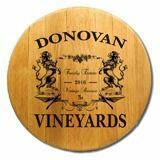 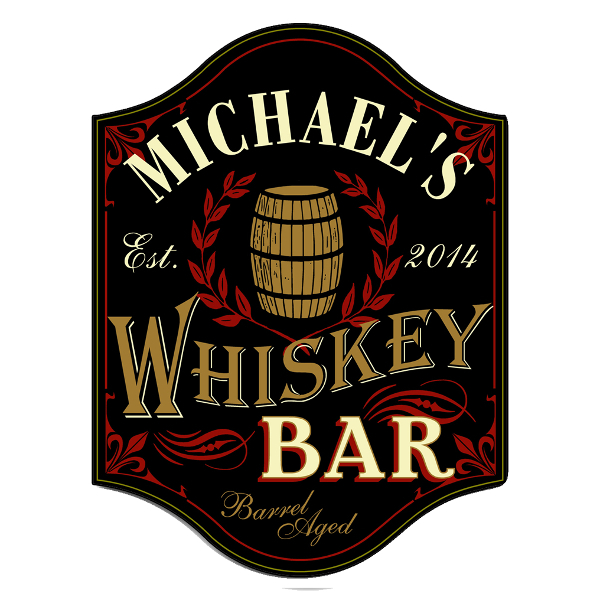 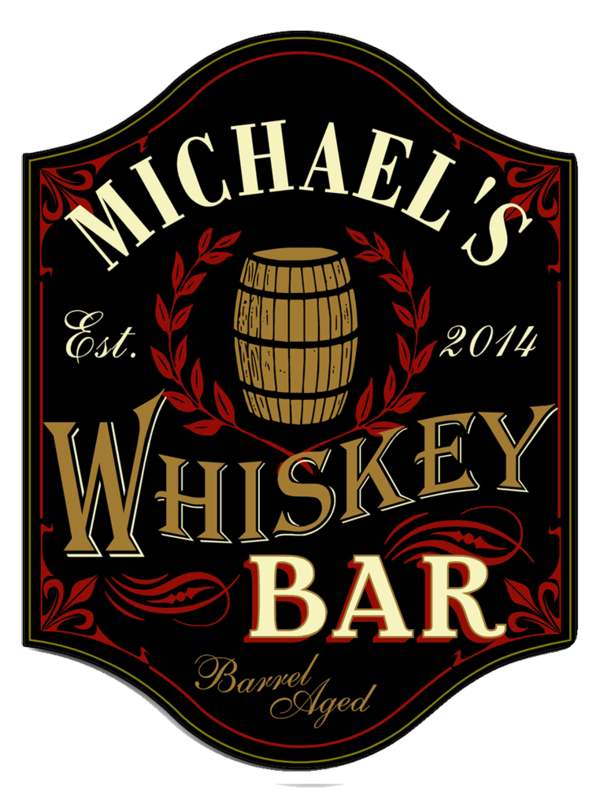 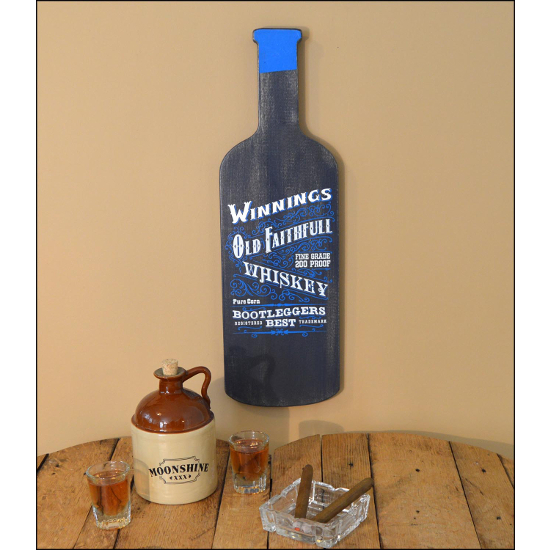 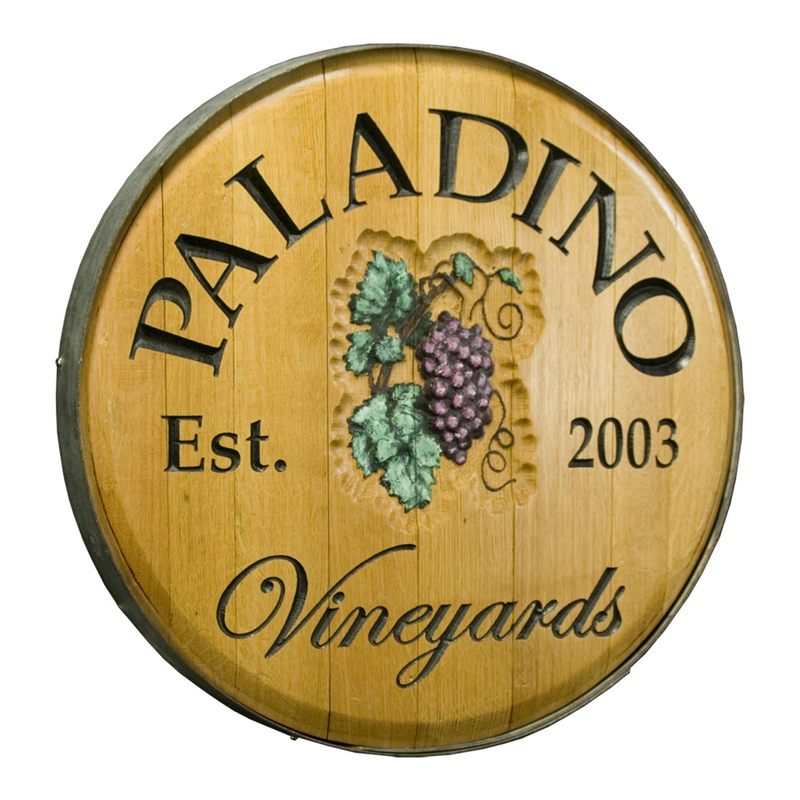 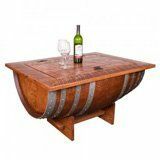 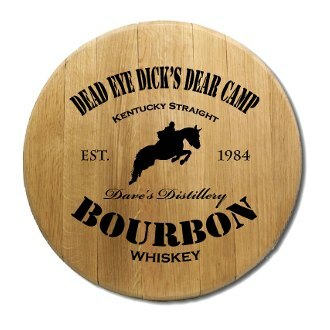 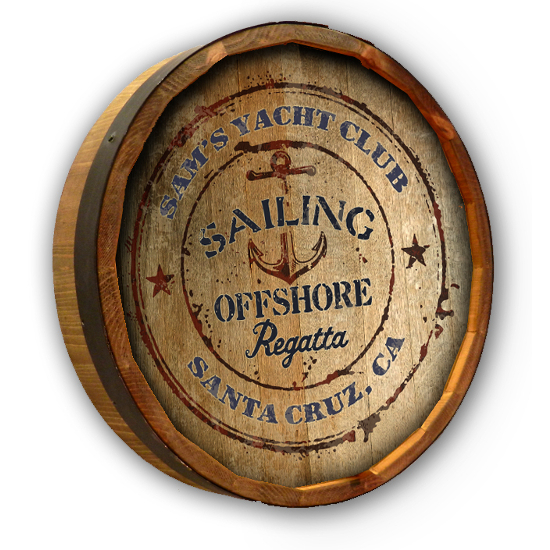 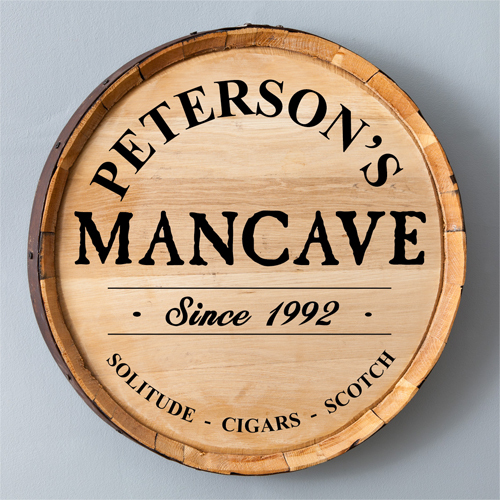 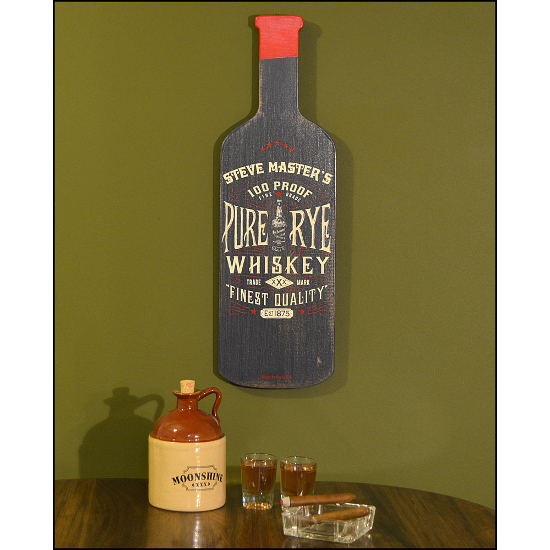 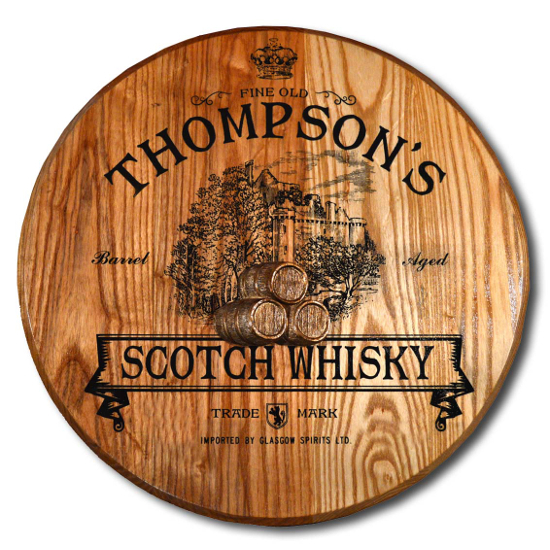 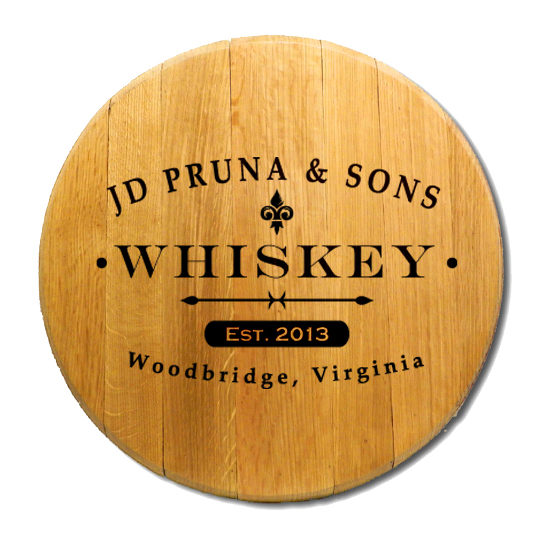 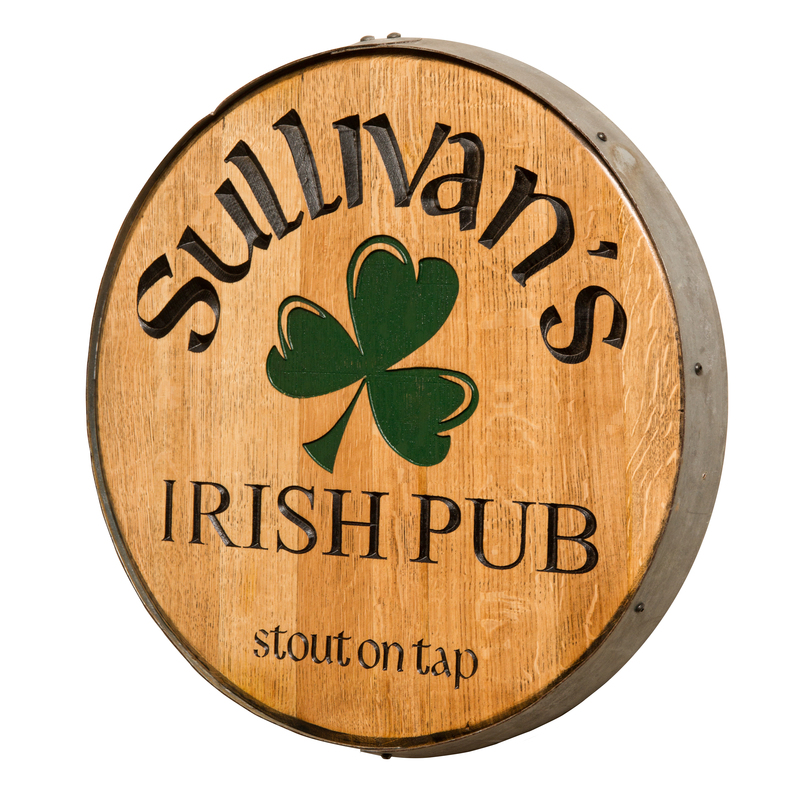 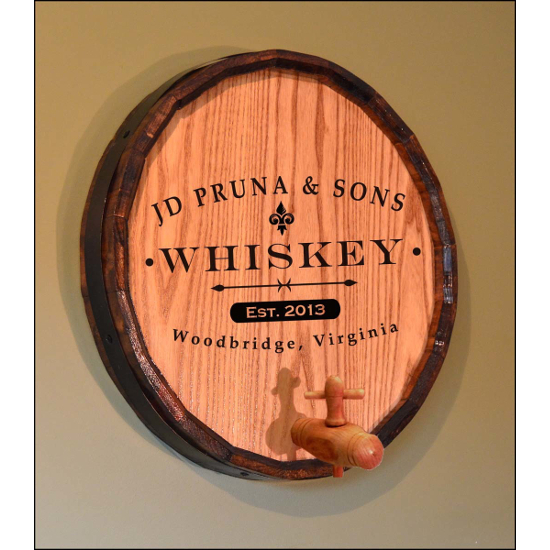 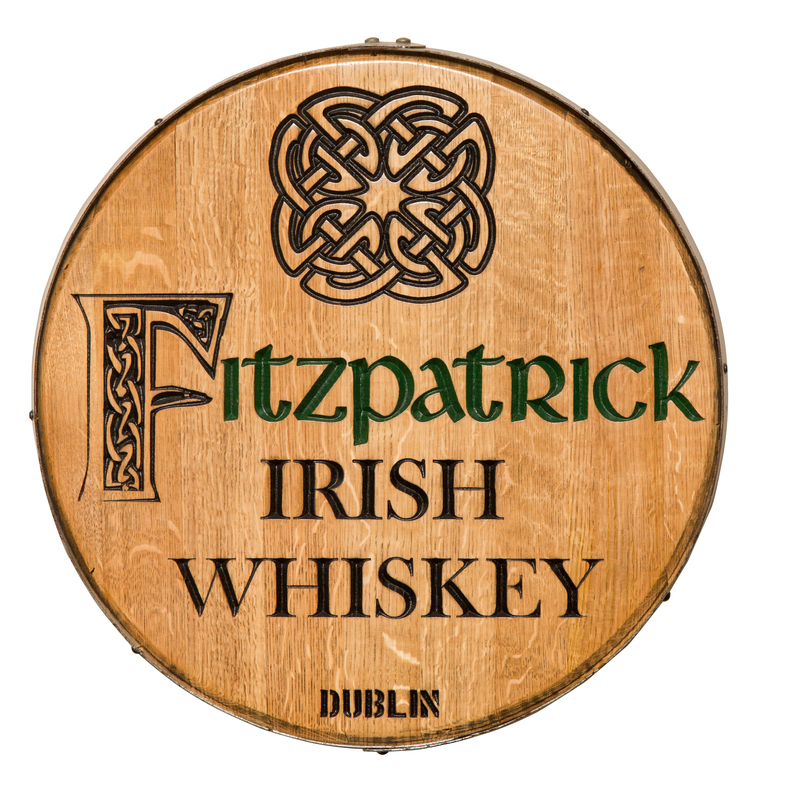 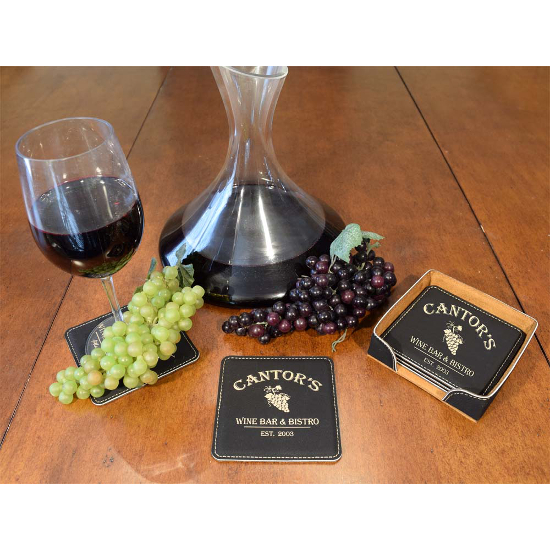 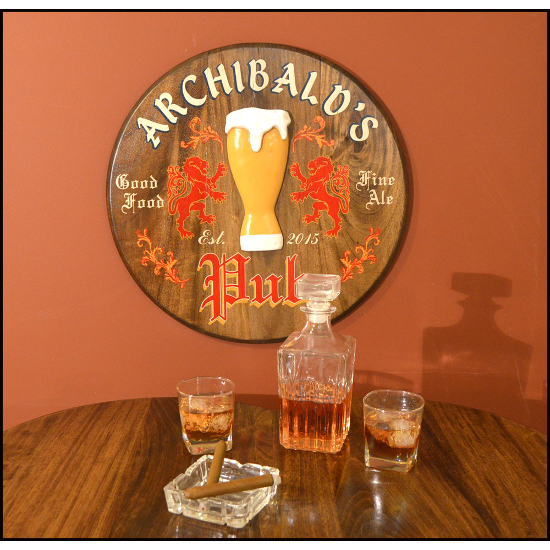 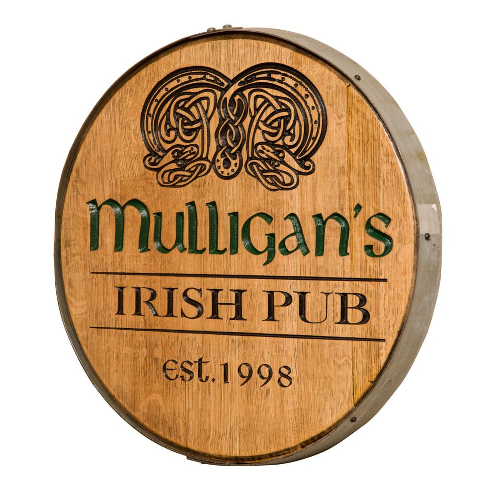 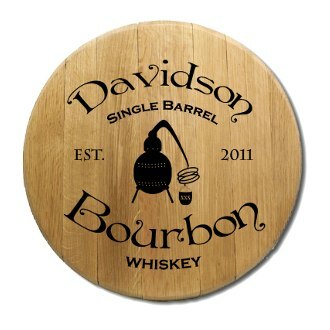 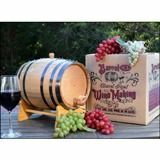 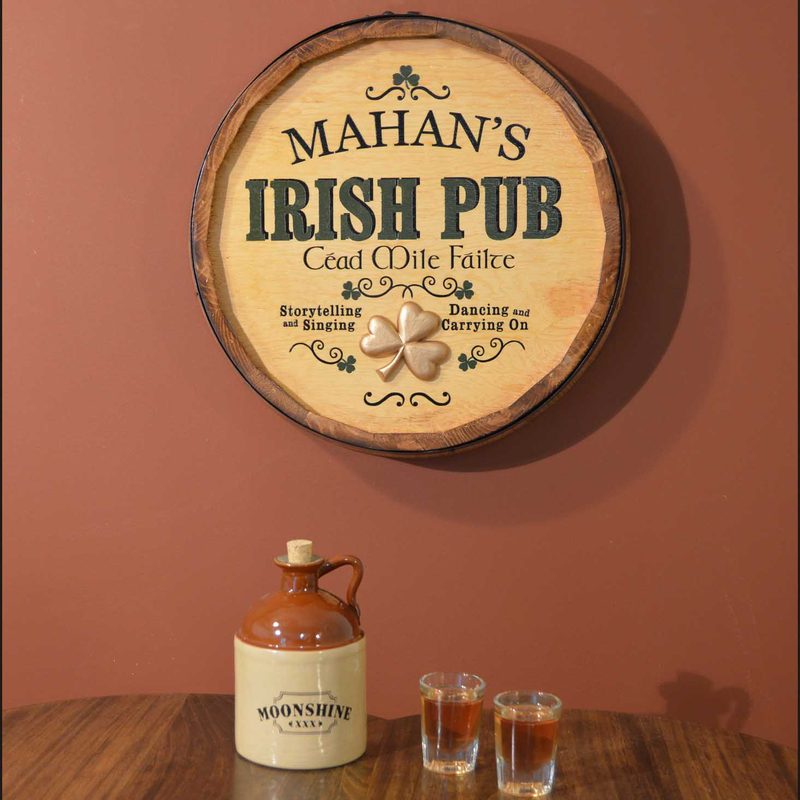 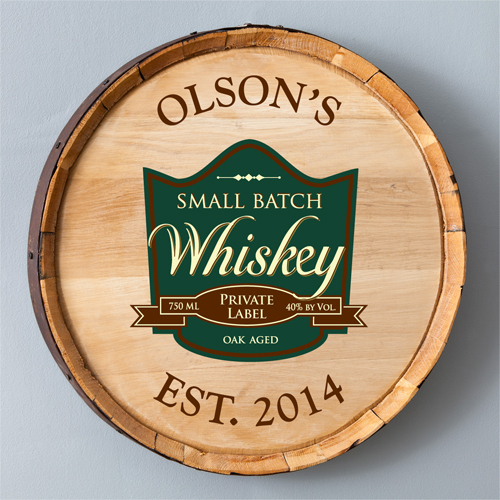 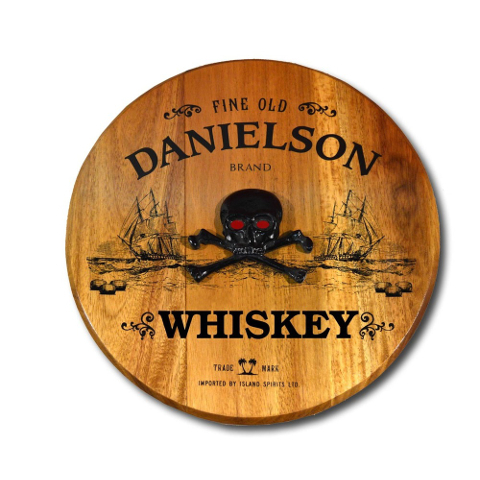 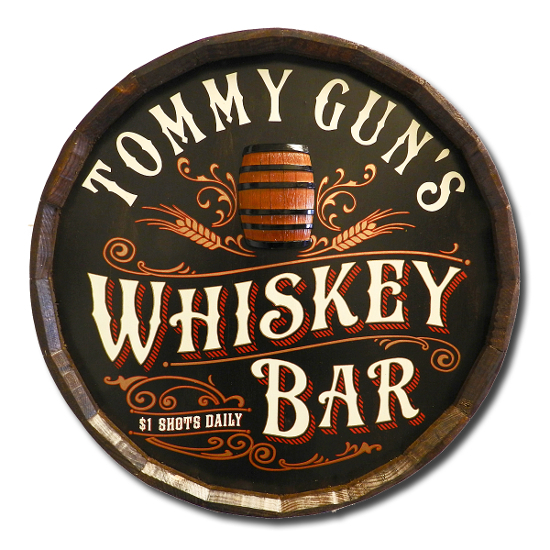 Personalized whiskey barrel head signs make for elegant statement pieces on your bar, and theyâ€™re also a great way to commemorate moving into a new place or renovating your bar area. 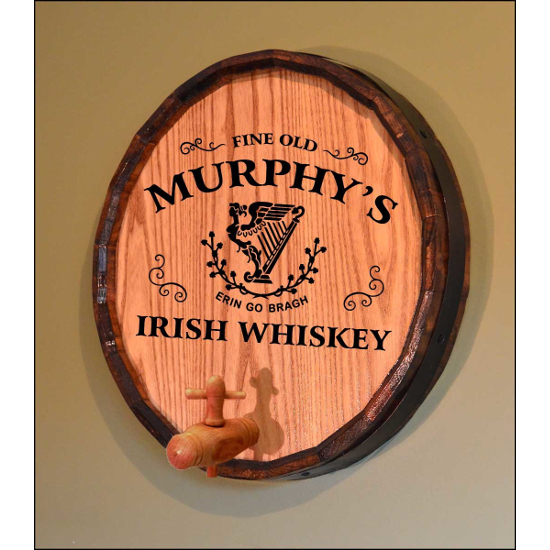 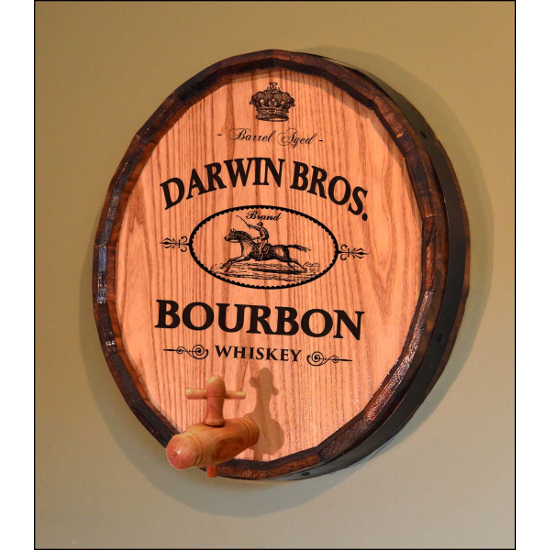 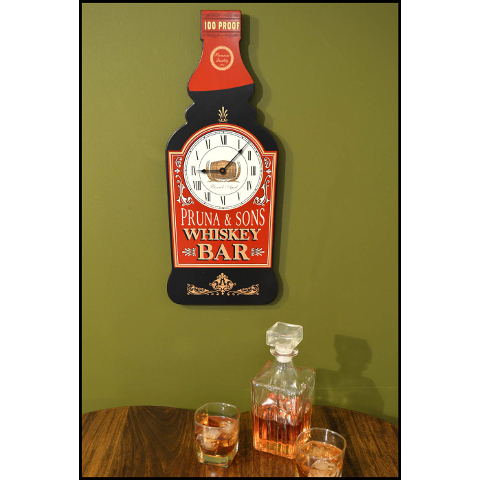 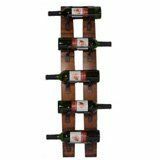 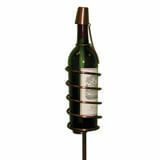 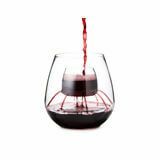 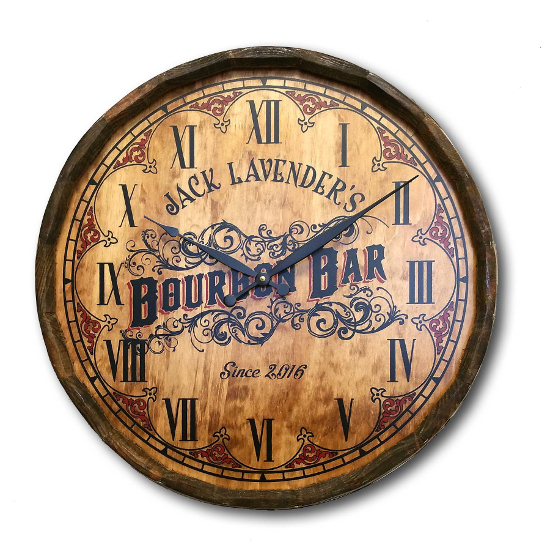 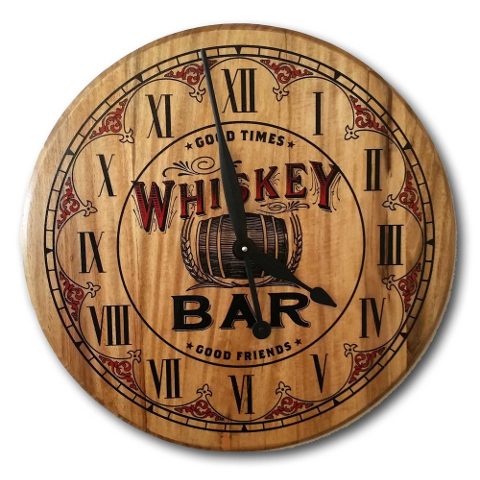 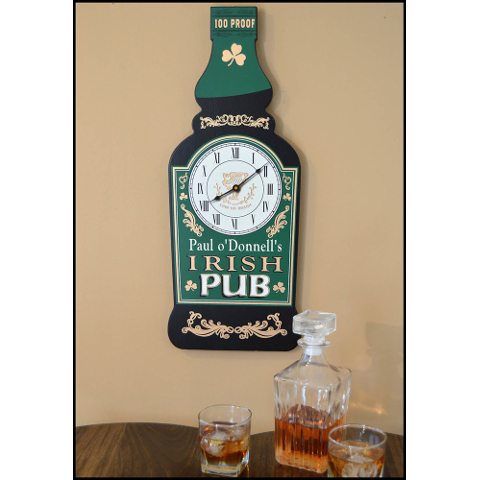 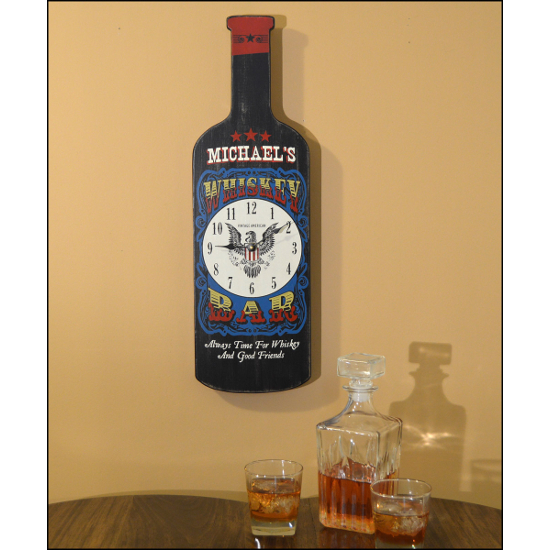 Also, you may be enjoying a few drinks with your friends, but thanks to a customized whiskey barrel head clock hanging on the wall, youâ€™ll ensure that they never lose track of time. 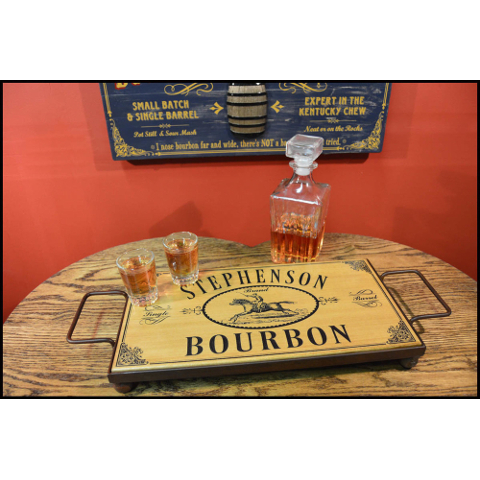 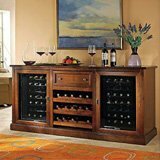 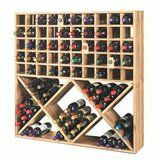 No matter which designs you choose, this collection offers everything you need to create the perfect whiskey loverâ€™s home bar. 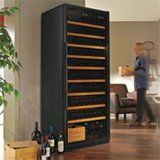 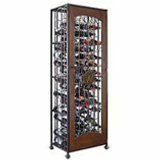 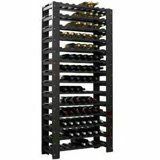 Youâ€™ll have a place you can call your own while you pour drinks and enjoy them afterward, and your guests will be wowed by the attention to detail and sense of occasion that your dÃ©cor brings to the room. 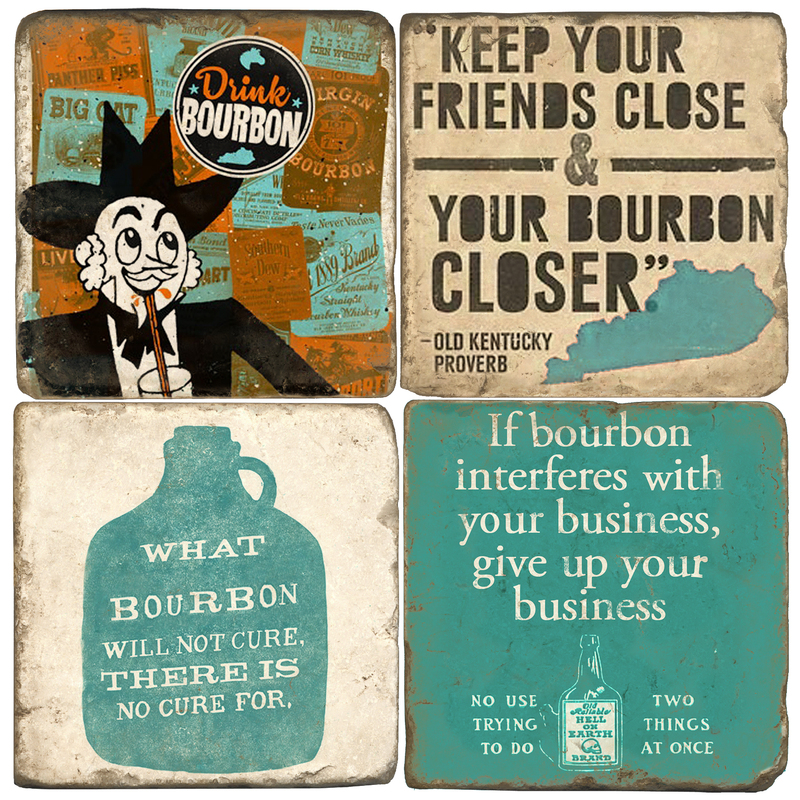 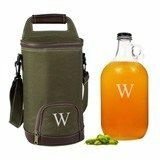 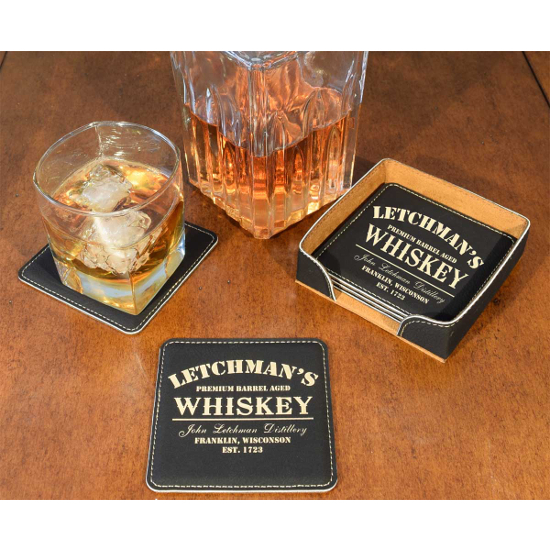 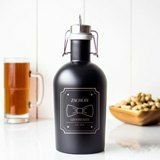 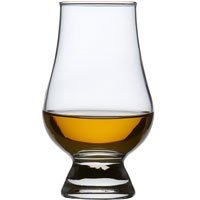 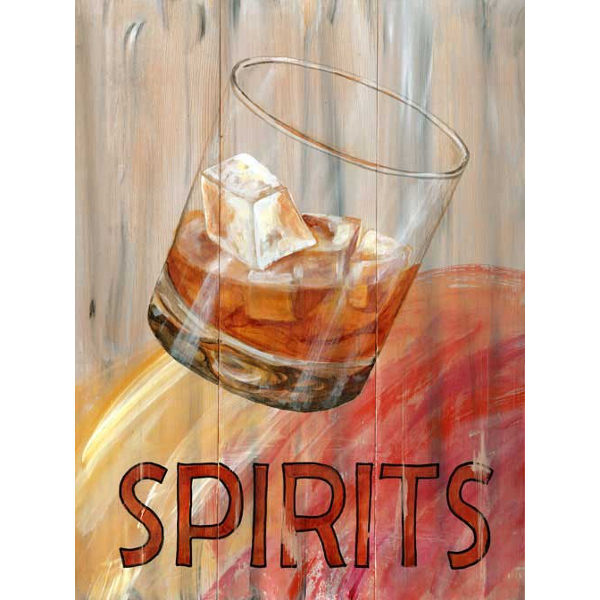 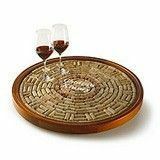 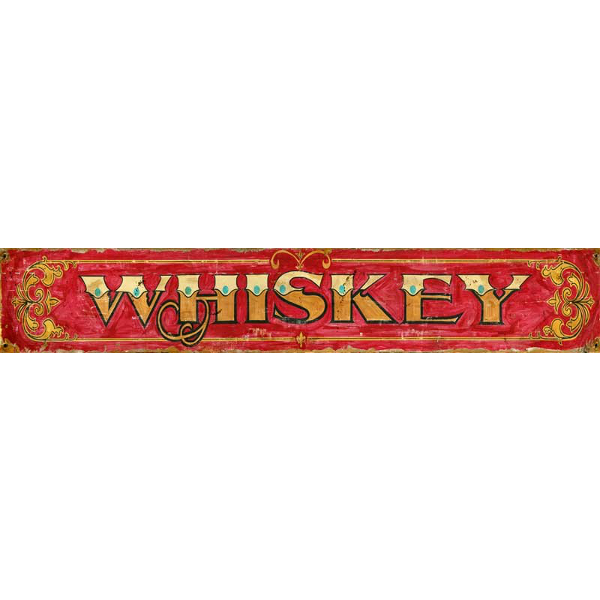 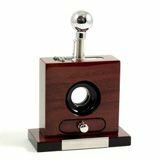 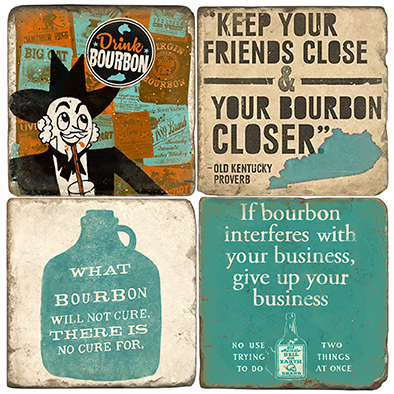 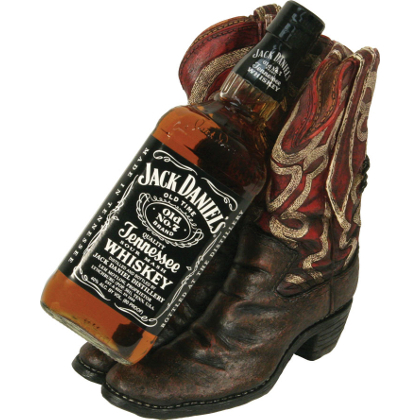 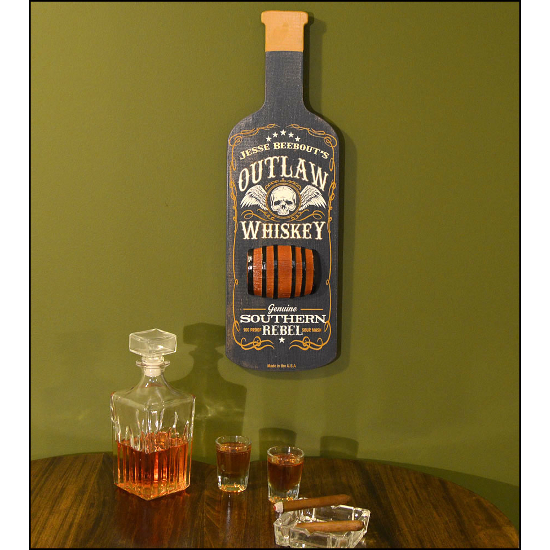 Check out all of these amazing pieces of whiskey decor, and donâ€™t forget to pick up a personalized gift for anyone in your life who also shares a passion for whiskey. 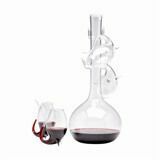 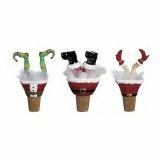 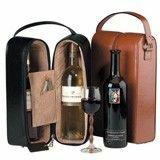 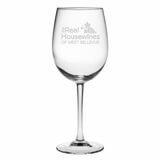 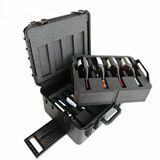 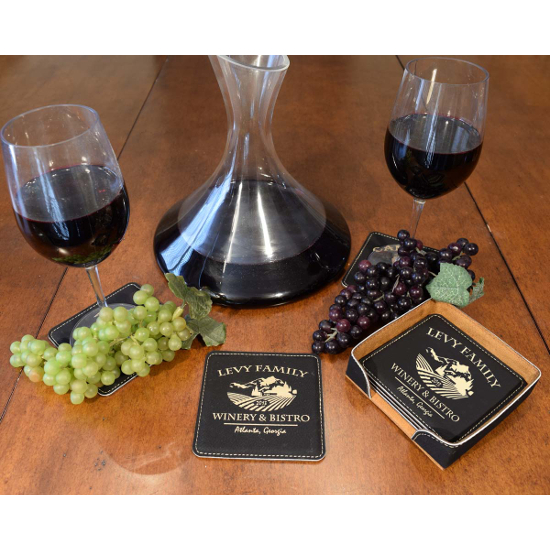 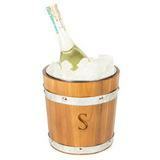 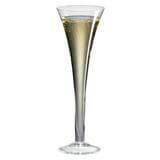 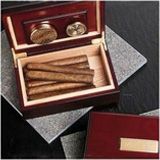 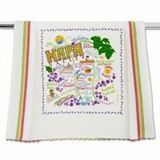 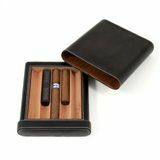 Theyâ€™ll be astonished that you found a gift that captures them so well!